Call Sharly, ASPM® 808 938-9533 owner of Hawaiian Global Staging. 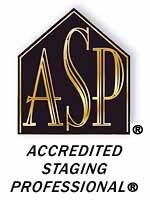 As an ACCREDITED STAGING PROFESSIONAL MASTER®, statistics prove less time on market and higher sales price. I am currently one of 67 masters in the world of the International Association Home Staging Professionals (IAHSP), an association of over 32, 000 ASP’s worldwide. I have staged millions of dollars of property in Hawaii. I work with Sellers, Realtors, Investors, REOS, Seniors, Builders and Businesses. A Staged home clearly stands out against the competition. From consultation to full inventory staging plus Staged to Live.